If you have a domain, you can transfer it to other reigstrar easily. A few days ago, we transferred all of our domain names to GoDaddy from Namecheap. We are just want to save domain name renewal costs with GoDaddy transfer coupon, though Namecheap is also an excellent domain registrar. This guide is how to transfer a domain registered elsewhere to GoDaddy. If you have decided to transfer your domain name to GoDaddy. Fortunately, you can use GoDaddy domain transfer coupon to save you much time and money from the list below. A domain name transfer is the process of changing the designated registrar of a domain name. For example, you can transfer your domain from one registrar (like GoDaddy) to another (like Namecheap). After this process, the new registrar is the domain name's designated registrar. Once the transfer is complete, then NameCheap is the designated registrar of your domain name. The process of domain name transfer is easy, but it may take five days to complete. Therefore, it should be noted that do not attempt to transfer the domain name before it expires. In general, everyone has been discussing how to transfer domain names, but few have mentioned why do this? The first and most important thing is the price. For example, GoDaddy encourages other registrars' users to transfer their domain names with special offer. Secondly, some people may need some specific services that the current registrar can not provide. Such as free domain-based email account, free domain privacy. Finally, no matter what reasons you want to transfer domain names. Keep in mind that choosing a professional domain name registrar as much as possible. 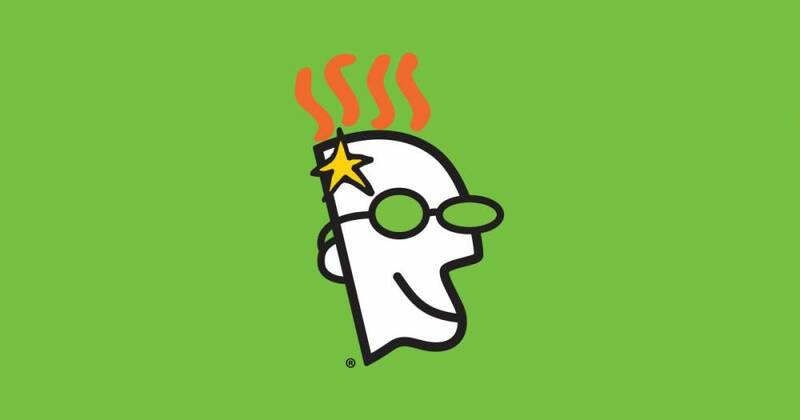 Needless to say, GoDaddy platform manages the most customers and domain names so far. Transfering domain to GoDaddy not only because of a good user experience, and it offers GoDaddy domain transfer coupon in order to avoid high domain renewals. For bulk domain transfer, you can save up to 31% when you transfer six or more domains at once. In addition, GoDaddy has the most popular domain name trading platform - GoDaddy Auctions. It is the best choice for those valuable domain names. In this tutorial we will show you how to transfer a domain from a registrar to another. The basic steps are roughly the same for all domain registrar. So, we first cover the general domain name transfer steps. To make sure your domain name has been at least 60 days in your current registrar. According to ICANN policy on transfer, the transfer request may be denied if a domain is within 60 days of the creation date or transfer. Make sure the administrator's contact Email for the domain is correct. Cancel domain WHOIS protected or private registration. After confirming that this three conditions are correct. Let's get started to transfer domain name. First of all, you should purchase domain transfer from new registrar. Once you're finished with your purchase, you will keep left time on your current registrations, and get a free year of renewal for each transfer. More importantly, most domain registrars offer domain transfer coupons, and keep in mind that apply it to get discounts. An Authorization Code (also known as a transfer key, a transfer secret, an EPP code, EPPT authentication code, or EPP authorization code) is a randomly generated complex code by a domain registrar. This code is required when you transfer a domain from one registrar to another. In general, when you apply for the code in the old domain registrar, it will be sent to your domain registration contact email. Please enter authorization code correctly in the new registrar to complete the transfer. Finally, once you have completed all the steps. The new registrar will sent a confirmation email to the contact email by your domain’s WHOIS. This process may take several hours. If you want to authorize this transfer, simply click on the link to approve it in the email. Then all the steps are done. You may need 10 days to wait until your domain name is completely transferred. The reasons that domain transfer to fail. This domain name has not been 60 days after the new registration or transfer. The domain is locked by the current registrar. Your WHOIS Email is not correct so that you will not receive an authorization code. Whatever the reason you need to transfer your domain name, you can quickly transfer it as long as you pay attention to the above points. The most important thing is, do not forget to use latest GoDaddy domain transfer coupon. However, after the transfer is complete, keep in mind that configure your domain name in the new registrar. Such as you had to disable the transfer lock, set automatically renew, update the domain name information. If you’ve transfered a domain name to other registrar, please share your experience in comment. And what is your primary reason that you want to transfer domain from current registrar to another?